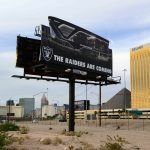 The Las Vegas Raiders have completed their purchase of 62 acres of land between Russell Road and Hacienda Avenue, just west of Interstate 15 and the famed Strip. The NFL team purchased a total of four parcels for a combined sale price of $77.5 million, or $1.25 million per acre. That’s a substantial premium for the sellers, as the land’s assessed value was $40 million. 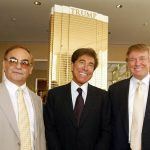 Nevada Land Group, LLC, was the seller, a group of banks that acquired the property in foreclose in 2008. 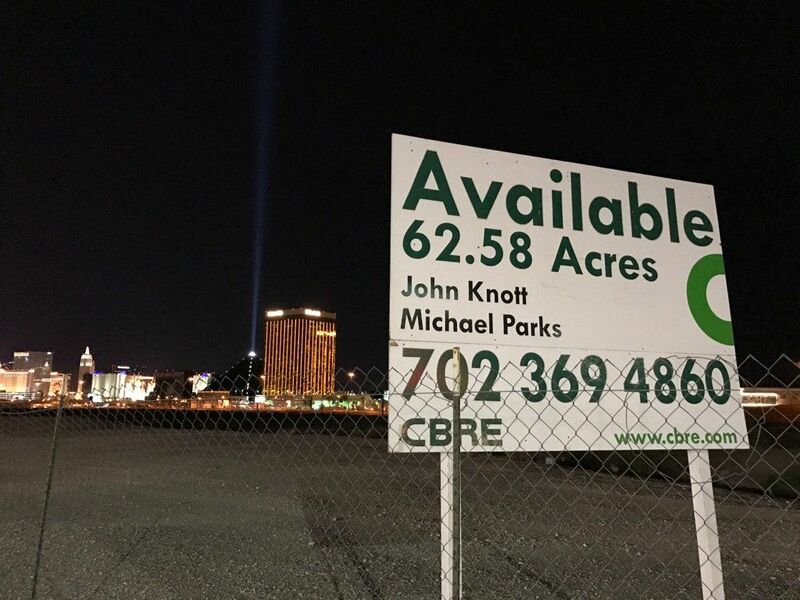 The vacant land is adjacent to I-15 behind Mandalay Bay. The property will be the future home of the $1.9 billion, 65,000-seat NFL stadium that will be partially built with tax dollars generated from hotel stays in Clark County. In addition to Nevada’s $750 million commitment, Raiders owner Mark Davis’ franchise will be on the hook for the remaining $1.15 billion. The future home of the Las Vegas Raiders will have the Strip serving as its backdrop. Fans will be able to walk from the casino floor to the gridiron, and that’s a good thing because as of now, parking plans are minimal at the stadium. Local officials are justly concerned with traffic and congestion once the facility is completed. The domed stadium will consume most of the 62 acres, meaning parking will be limited. Nearby Bali Hai Golf Club, across I-15 south of Russell Road, is being targeted as a potential solution to provide parking and tailgating room. It’s unclear if the golf course has any interest in selling. Clark County plans to extend the Las Vegas Monorail to Mandalay Bay to help ease congestion. The public transportation system presently runs from the Stratosphere to MGM Grand. 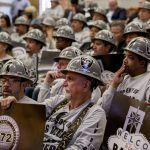 Though Davis and the Raiders are officially landowners in Las Vegas, a series of challenges remain before construction can formally commence. The team will first hear from the Federal Aviation Administration (FAA), which by federal law reviews development plans that might impede on air traffic. 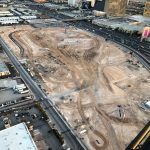 The stadium site, while further from McCarran International than a previous proposed lot along Tropicana Avenue, is still just a few hundred yards from the busy runways. The FAA can’t technically stop the stadium project, but its comments will be heavily respected by the Clark County Commission. Once the FAA review is complete, the county, along with the Nevada Stadium Authority, will be expected to issue building permits.